Join us for our Grand Opening! 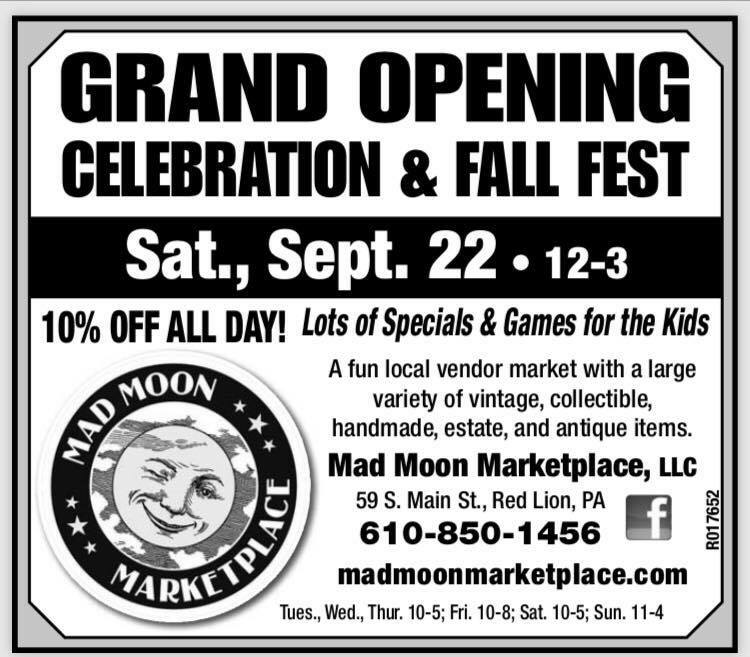 We’ll be celebrating by hosting a Fall Fest on Sept. 22nd from 12pm-3pm (Mad Moon Marketplace will be open normal hours of 10am-5pm). Stop by for some giveaways, awesome specials going on in-store, and games for kids! We hope to see you there!